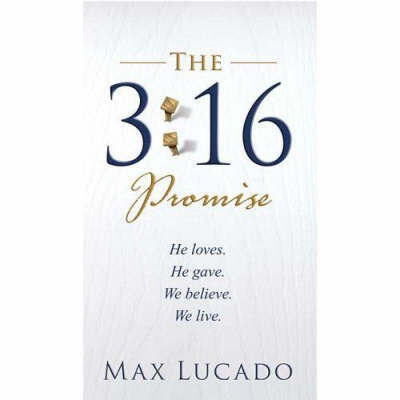 Building on stories and illustrations from '3:16 The Numbers of Hope' by Max Lucado, this 64-page evangelistic book leads the readers word-by-word through John 3:16, the passage that he calls the 'Hope Diamond' of scripture. It's the perfect way to introduce the gospel to friends and acquaintances through Max Lucado's warm and easy to understand writing style. Experience God's grace and plan of salvation for the first time or use this booklet to share the message of hope with someone you know. 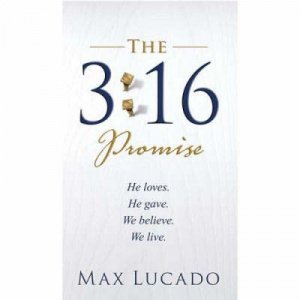 The 3:16 Promise by Max Lucado was published by Thomas Nelson in October 2007 and is our 5753rd best seller. The ISBN for The 3:16 Promise is 9780849919190. Be the first to review The 3:16 Promise! Got a question? No problem! Just click here to ask us about The 3:16 Promise.